More than 5,400 mental health patients had to travel out of area for a psychiatric bed last year, research by Community Care and BBC News has found. 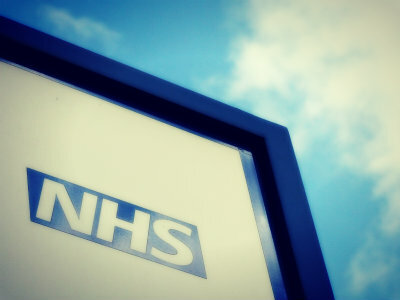 Figures obtained from 42 of England’s 56 NHS mental health trusts under the Freedom of Information Act revealed 5,411 patients were sent to out-of-area hospitals in 2015-16, up 13% from 4,093 in 2014-15. Some patients are being sent almost 300 miles for care due to their local units being full. One trust had to declare a major incident due to bed shortages. Half of the 56 trusts provided figures over five years. Among this group use of out-of-area placements rose 236% over the period, from 1,215 in 2011-12 to 4,093 in 2015-16. Sending patients away for beds can be necessary for specialist units, such as eating disorder care. However, figures from trusts that recorded admission reasons showed more than 90% of out-of-area placements last year were due to local bed shortages. Experts have warned forcing acutely unwell people long distances for beds increases suicide risk and there have been repeated calls for the practice to stop. The care minister acknowledged the problem was unacceptable and promised the government and NHS England would eradicate the placements within five years. Paul Farmer, chief executive of mental health charity Mind, said it was “a sorry state of affairs” that use of the placements was rising despite repeated pledges from government to improve mental health crisis care. Ruth Allen, chief executive of the British Association of Social Workers, said: “It feels like a breach of people’s human rights that they are getting such an unequal and inadequate service. It has implications for the wellbeing of staff too. We know Approved Mental Health Professionals are most frequently the ones left to manage the risk in situations where people can’t be admitted. NHS England has repeatedly said it is committed to improving mental health services, but the number of patients being sent to out-of-area beds has increased every year since the organisation was created in 2013. It has now been told by ministers to eradicate the placements by 2021 at the latest. Jessica Wilson, 21, has suffered from mental health problems for several years, including PTSD and borderline personality disorder. Last December, she became ill and needed a hospital bed. None were available locally in Lincolnshire and she was sent to Roehampton in London – 170 miles from home. “When I found out they were looking in Nottingham, I cried so when I found out I was going to Roehampton, it was a nightmare,” she said. Jessica spent three weeks in London. While she praises the care she received there, the distance meant that neither her mother nor her local mental health team could visit. The number of patients sent out of area at Lancashire Care NHS trust rose from 331 patients in 2014-15 to 751 in 2015-16. All were due to local bed shortages. Spending on the out-of-area beds, which often have to be found in the private sector, rose from £4.7m to £12m. In January, the trust was forced to declare a major incident due to a lack of beds. It had been forced to place 94 patients out of area. Another 26 were waiting to be admitted but the trust’s own units were full and no beds could be found in the private sector. “It’s an unprecedented decision for a mental health trust to declare a major incident,” said Sue Moore, chief operating officer at the trust. By declaring a major incident, Lancashire Care could suspend some planned activities and focus on the crisis, redeploying staff to help move people who were ready to be discharged to go home and supporting those who had to be admitted. The trust opened 22 beds – 10 in an assessment ward and 12 by partnering with a housing association that provided accommodation to patients who were still in hospital due to homelessness. The effect has been dramatic, says Moore. There are currently just 20 patients in hospital beds outside of Lancashire. Some trusts have managed to dramatically reduce their use of the placements. Read how a redesign of services in Bradford eliminated out-of-area placements for acute patients last year. What is it like when there’s no bed available for someone in crisis? As AMHPs we often feel stuck in the middle. Finding beds isn’t our responsibility. It should be the doctors’. In practice it’s usually delegated to NHS bed managers. At the same time, we’re there face-to-face doing the assessment with everyone looking to us for support. Often it feels like we’re not supported by organisations, including our own, with the resources we need to do the job. When there’s no bed, or problems getting an ambulance to take someone to a bed, it can be hugely stressful, hugely time consuming. But even more so we’re acutely aware that there’s somebody potentially very unwell who’s caught in the middle of all this. Practice is definitely being affected. I’ve been involved in assessments where the person was willing to go to hospital, their nearest relative was willing for them to go to hospital, but not to the out-of-area bed being suggested. It was suggested we’d have to detain them. This person was willing to go to hospital voluntarily. They should not need to be detained, and in the end we didn’t. The point is there should be a bed that’s suitable to them when it’s required. When you have these moments, when no beds are available, or the only one is more than 100 miles away, it’s one of the worst positions to be in as an AMHP. You can end up in a grey area. At those points you begin to reflect about what people’s expectations are of you. If you can’t make an application to detain someone because there’s no bed, you can’t make it, so who’s holding the risk? Let’s be clear, most people we see are not risky to other people. That is a small minority and a bed can normally found for them because of perceived risk. But others who’ve been assessed as needing inpatient care are forced to wait. For me this is a commissioning issue. What would I do if I was in charge? I appreciate it’s not an easy job but for a start I’d make commissioners read the Mental Health Act and read the code of practice. Then I’d get them to start complying with it. In the meantime we’re social workers, we’ve got values and we’re dedicated in trying to support people in these moments. But too often we’re not being equipped with what we need to do the job. So Sun a.m. 5 June, went to A&E where duty psych nurse said to take him back home as’no beds are available nationally, even in private sector’ & give him over the counter promethazine to try to get him to sleep. Didn’t sleep. Sun pm, he went out & no way to stop him: had no money with him & when he answered his phone, could hear him yelling at people around him, making no sense; he didn’t come home till 7.20 following morning–police were out looking for him. Care coordinator finally got him admitted yesterday evening.